If you stop by the DMA on a First Tuesday or Late Night, chances are you have encountered our resident storyteller Ann Marie Newman. She was a born storyteller, creating alternate worlds and narrating stories as a child. 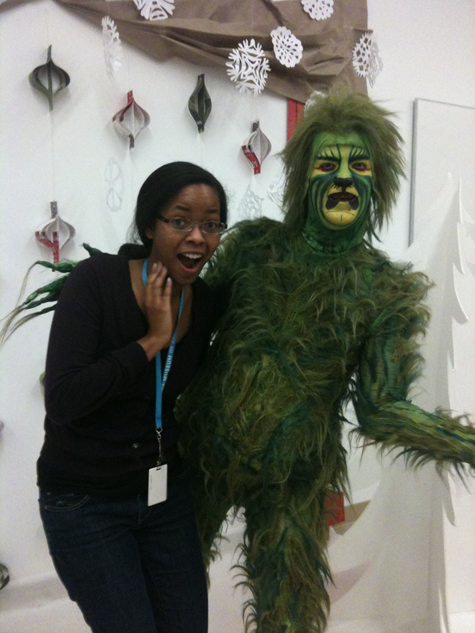 She has been a professional storyteller for nineteen years and has been at the DMA for six. Anne Marie dispels the myth that storytellers only read stories to children; rather, she says they “carry on oral traditions of what it is to be human.” She believes storytelling unites people from all cultures. She performs stories as if they are a memory, allowing her to connect with the audience as they journey through the story together. 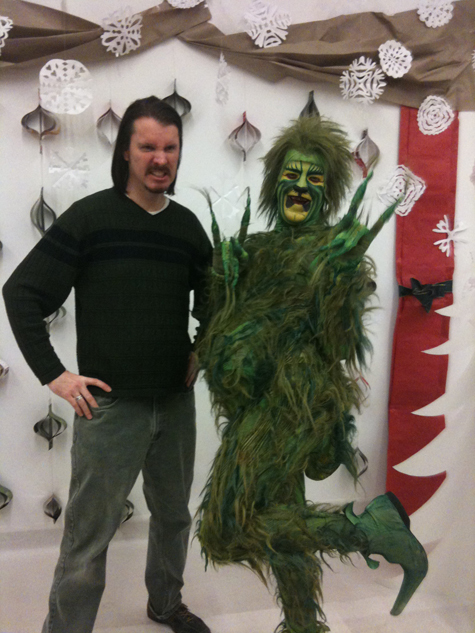 She not only engages her audience through participation but also by incorporating the senses into her performance, which helps audience members imagine they are experiencing the same sensations as the characters. Artworks from the DMA’s permanent collection and special exhibitions inspire the stories Anne Marie performs at the the Museum. For her, there is a very natural connection between stories and art. When preparing for a performance, she prefers to view the art first with little contextual information. This allows for her own interpretation and creative response to the art. She describes her mind working like a spider’s web, connecting stories and folktales to the art she views. Join Ann Marie Newman and her cast of characters inspired by our special exhibition The Body Beautiful in Ancient Greece: Masterworks from the British Museum during our Late Night on May 17th at 7:30 p.m. The theme for December’s First Tuesday program was City of Light, inspired by one of the Dallas Museum of Art’s current exhibitions, Posters of Paris: Toulouse-Lautrec and His Contemporaries. One of the exciting activities offered was Drawing with Light. 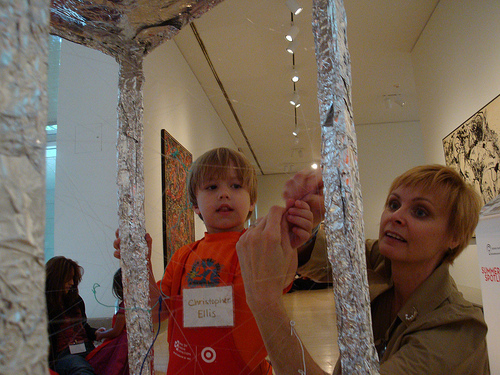 Families experimented with flashlights, laser pointers, and traffic wands to create a drawing in the air with light. The drawings were created using digital SLR cameras set on 15 second exposure time, which enabled all of the movements to be captured. All of the photographs taken during this activity were posted to the Center for Creative Connections’ Flickr account. 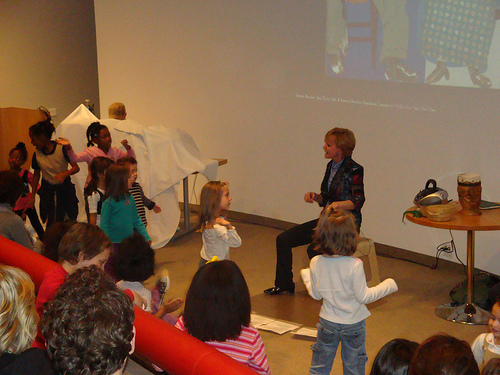 The activity was a great success and even Arturo, the Museum’s family mascot, took part! Arturo making his own drawing with light! Howdy, Texas! Around these parts, we’re all pretty familiar with a fella named Big Tex, an icon of the State Fair of Texas in Dallas’ Fair Park area. If Big Tex could take a stroll across town, you know he’d be sure to mosey up for some fun at the DMA‘s First Tuesday on July 3. He could add some flair to his bandana in the art studio, join a roundup for stories and songs about Texas, search for Texas artwork treasures throughout the Museum, and more! 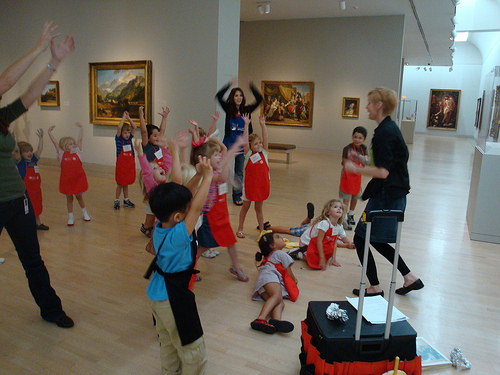 From 11:00 am to 4:00 pm, the DMA will be bustling with activities for families and kid folks. We invite you to bring your pardners for the celebration on Tuesday, July 3, and kick off the national holiday a little early with some Texas pride. General Museum admission is FREE! George Grosz, Cowboy in Town, 1952, Dallas Museum of Art, gift of A. Harris and Company in memory of Leon A. Harris, Sr.
George Grosz, Cattle, c. 1952-53, Dallas Museum of Art, gift of A. Harris and Company in memory of Leon A. Harris, Sr.
George Grosz, Cotton Harvest, Dallas (Cotton Pickers), c. 1952-53, Dallas Museum of Art, gift of A. Harris and Company in memory of Leon A. Harris, Sr.
On the first Tuesday of every month, admission to the DMA is free, and we have special activities for our youngest visitors until 3:00 p.m. On December 7, we had a special guest in C3, the Grinch (before his heart grew three sizes in one day). 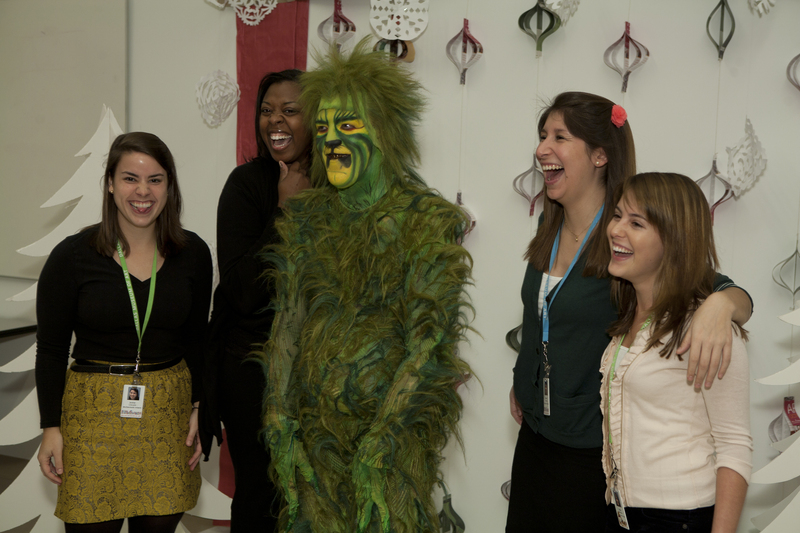 He stopped by from the AT&T Performing Arts Center, where Dr. Seuss’ How the Grinch Stole Christmas! The Musical was opening later that night. 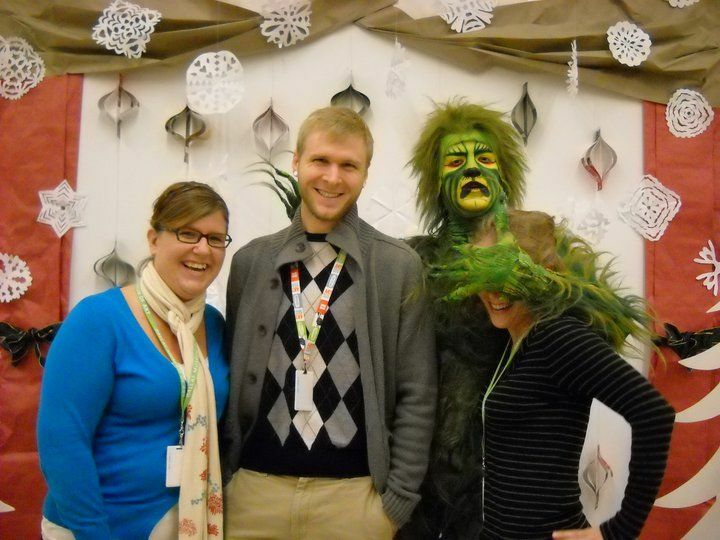 DMA staff members could not pass up this photo opportunity.